(Updated at 9:50 a.m.) New York Senator Kirsten Gillibrand (D) is no fan of living in Arlington, apparently. 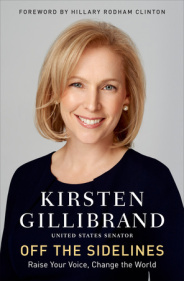 In her new book, “Off The Sidelines,” which is due out today, Gillibrand recounts her move from New York to the D.C. area — to Arlington, specifically — when she was first elected to the House of Representatives. It was a move Gillibrand would come to regret. I appreciated Jonathan’s viewpoint. We lived in a soulless suburb. It wasn’t the right place for us, and we needed a change. I could see that, but it took me at least a year to figure out that racing 100 miles an hour to do my job well was leaving no time for us… Eventually we moved from Arlington, Virginia, to Capitol Hill, and Jonathan found a job he liked. 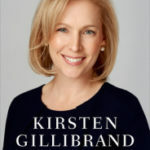 Gillibrand’s book also discusses sexism on Capitol Hill and inappropriate comments congressmen made about Gillibrand’s weight. Update at 6:00 p.m. — In a tweet, Gillibrand says she’s sorry.